Thanks to a long-standing partnership, K.B.O is able to offer its customers the full range of cabins for STILL forklifts. 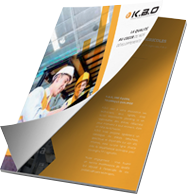 The quality of a major manufacturer and the expertise of K.B.O guarantee customer satisfaction. Be sure to choose quality with K.B.O. Would you like to find out more about our products for Still forklifts?